The GTBank Mobile application makes banking from home a lot easier and secured for GTBank customers. 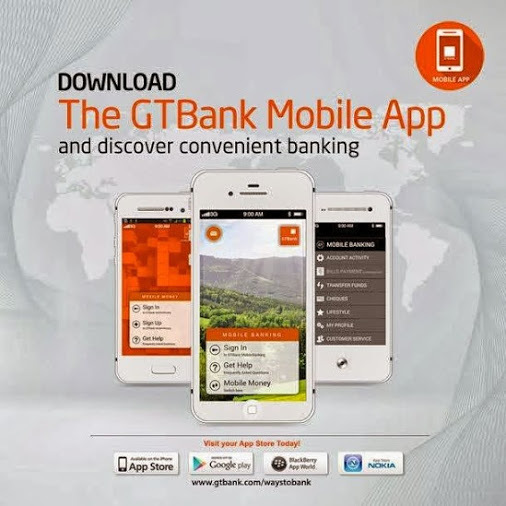 This app allows you to pay bills, cable TV subscriptions, transfer money from your account to GTBank and Non-Gtbank accounts and above all, you can monitor transactions made on your account in real time. See other benefits of the app and download links as you read on. NB: You need to apply for GTBank internet banking feature on your account to get your Login ID and password. Call GTConnect on 08029002900 or 08039003900 for further inquiries.